It is Friday and the weekend is upon us. On the Island, today is a very special day on its own. As I put this post together, the End of Year Picnic is going on. So, by the time this is read, it will probably be over. I think it is still worth noting. 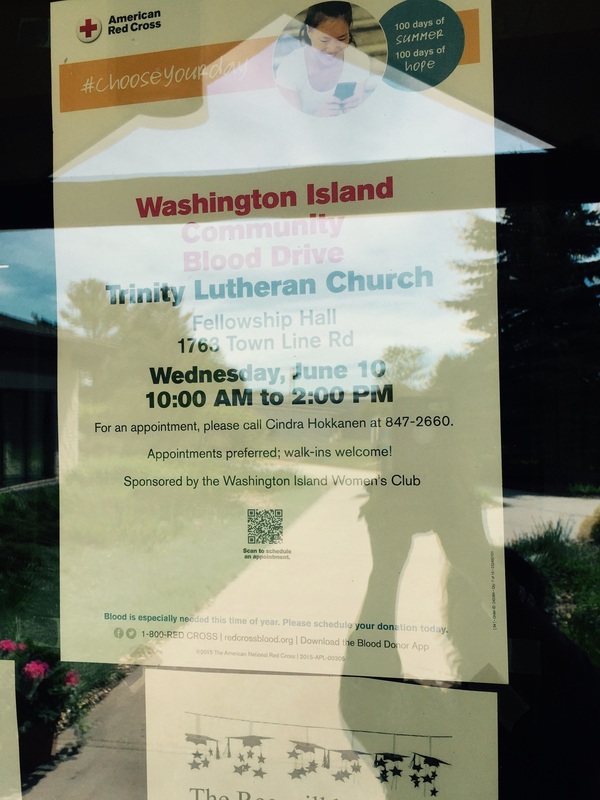 Always good to check out the signs posted around the Island. 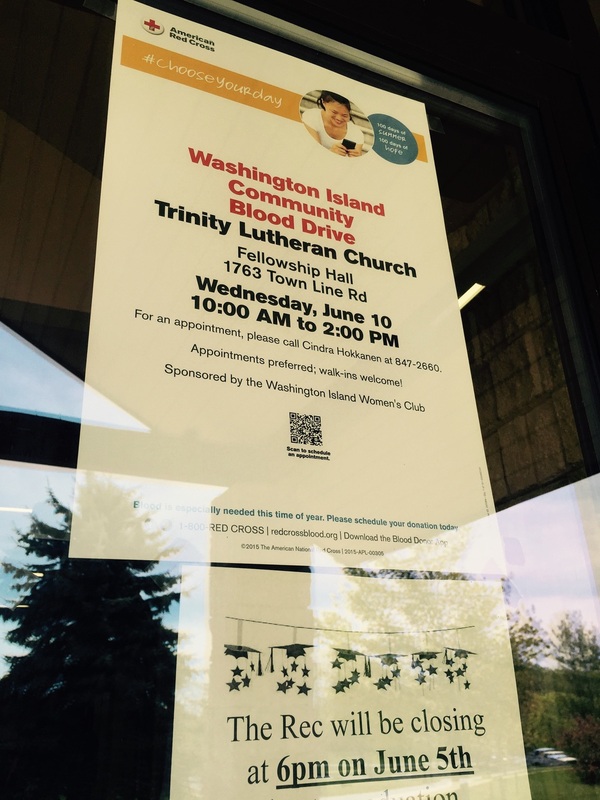 Coming up next week is the Washington Island Community Blood Drive. Looking through photos to post to the Island Mettle Facebook Page, I noticed the announcement below on this one. It's time for Graduation! Every year the entire Island community is invited to the End of Year Picnic as well as Graduation. They are fun events to attend because everyone knows the children who live here. There have been anywhere from 3 to 12 or so in the Senior class at the ceremonies I have attended. This year is unique as there is one Graduate, yet the whole Island will turn out. Everyone has watched her grow up and they will celebrate with her! One school closes and another is opening. Sievers is 37 this year. For a lovely post on their opening, go to their newsletter here. Beginning of Baseball Season ... well, not exactly. But it is the first home game! It is also special because Jim Sorenson will be announcing and Island Community Band will be making an appearance! This Sunday ... be there! Newer PostMain Road: fun times from one end to the other!